Speaking with his fists clenched, his finger pointing and his face flushed, Democratic presidential candidate Sen. Bernie Sanders expounded his progressive platforms — including raising the federal minimum wage and making public colleges tuition-free — at a UC Berkeley press conference Friday afternoon. The press conference, held at the campus’s Center for Labor Research and Education, came just days before the California primary elections, which will take place June 7. Sanders largely focused on economic issues — a consistent theme throughout his campaign — while also taking time to address climate change, healthcare and social security. 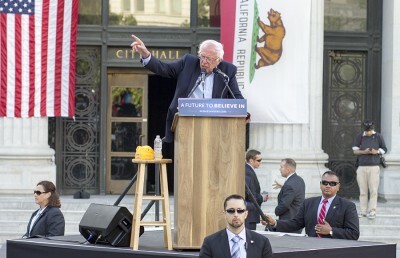 Sanders began his statements with a vehement condemnation of the federal minimum wage of just over $7 per hour, calling it a “starving wage.” He then moved into a discussion of the overarching economic trend of the past three decades, which he said has seen the rich become richer as the working class struggles to make ends meet. Sanders also advocated for tuition-free college and universal healthcare at the event, arguing that many other industrialized countries, such as Germany and Sweden, have similar systems in place already. 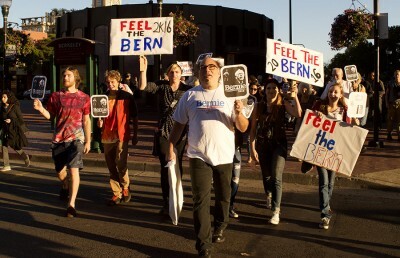 He repeatedly emphasized the point that “these are not radical policies” — an idea he supported with his belief that a majority of Americans support his progressive reforms — and said he would pay for his tuition plan specifically by taxing Wall Street speculation. Courtney Brousseau, a former Cal Berkeley Democrats board member, said he cast his first ever vote for Hillary Clinton, Sanders’ primary opponent. 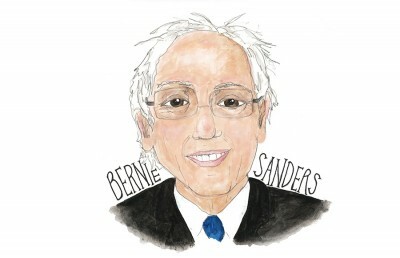 Brousseau added that Clinton’s wealth of experience, broader range of platforms and more realistic policy stances help explain her lead over Sanders in the Democratic race. 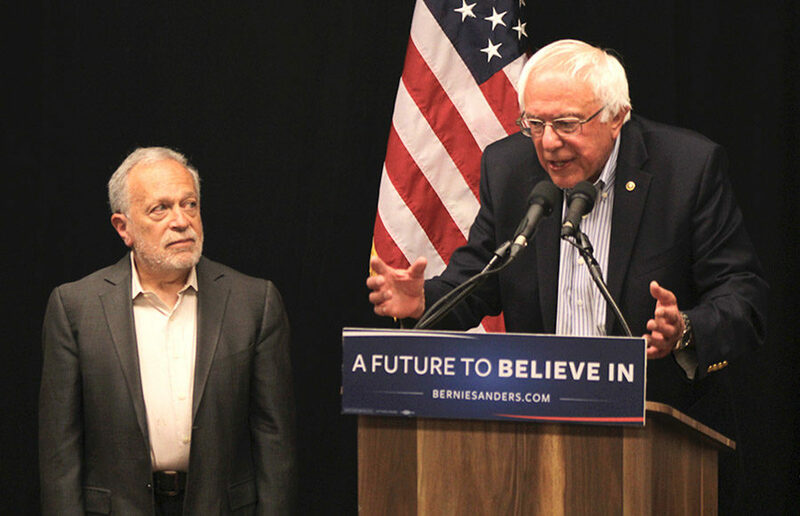 Sanders was introduced by Robert Reich, a UC Berkeley professor of public policy and a former U.S. secretary of labor who endorsed the Democratic presidential hopeful in February. According to Reich, economists generally cite globalization and technological advancement as the two primary factors responsible for the increasing wealth inequality in America. Reich added, however, that a “third factor” — the growing influence of the super-rich in the nation’s politics — plays an undeniable role in creating policies that disproportionately benefit the highest earners. Sanders concluded his remarks by affirming his commitment to continue running for president, as well as his desire to introduce publicly funded elections in order to shift congressional attention to ordinary Americans. “I’m going to do every damn thing that I can to make sure that Congress starts representing the interests of working families rather than wealthy campaign contributors,” Sanders said. Logan Goldberg is the executive news editor. Contact him at [email protected] and follow him on Twitter at @logangoldberg.